Following a major split in the Muslim Brotherhood over elections, reports are emerging that the Brotherhood is much closer to its affiliate political party than it previously admitted. Recent moves are yet another sign that the Muslim Brotherhood has not committed to participating in Egypt's democratic elections in a transparent and straight-forward way. Last week, the Brotherhood's authoritarian tendencies drove one group of Brotherhood youth to split with the movement and campaign on its own. 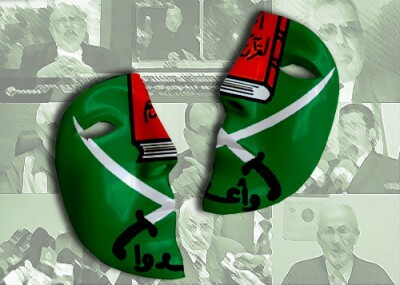 "Muslim Brotherhood youths once again defied the leaders of the Islamic group by revealing their intention of establishing a new political party, El-Tayar El-Masri (Egyptian Current), ignoring a strict rule that stipulates the Freedom and Justice Party [FJP] is the only party MB members are allowed to join," reported al-Ahram English. Emerging reports show that not only are Muslim Brotherhood members limited to running for the FJP, but that they cannot even join other parties. "They either voluntarily resign from the Brotherhood or they will get fired," the Brotherhood's secretary-general, Mahmoud Hussein, was quoted saying by Egyptian paper al-Shorouk. These are more mixed signals from the Brotherhood, showing limited pro-democratic tendencies on one hand, while being closed and authoritarian on the other. Questions about the Brotherhood's political intentions initially arose when members of the Brotherhood's old guard announced on Feb. 21 they would form the Freedom and Justice Party [FJP], as a political wing for the Muslim Brotherhood Movement. "The Brotherhood want to reassure the Egyptian people and the Arab and Islamic world that they do not seek power, or want to compete for power," Brotherhood Shura Council member Mohammed Habib explained in the lead up to the party's formation. "[W]hat matters to them is that there is freedom and democracy." The Brotherhood leadership reinforced Habib's words by carefully managing the group's image. The officials issued statements that the party would be "completely independent" of the movement, and pledged that the FJP would not contest more than a third of the seats in Egypt's first parliamentary election in over 30 years. The Brotherhood quickly changed its aim. In early April, Mohsen Radi, a former lawmaker and Brotherhood leader, told Egypt's Al Masry Al Youm that the Brotherhood had raised its target "to secure 35 percent to 40 percent of parliamentary seats." Apparently sticking to earlier cautions, Radi reassured the Egyptian daily that "the Brotherhood will not run for more than 49 percent of parliamentary seats." But less than a month later, the group's stated plans changed again—albeit ever-so-slightly. On April 30, the Brotherhood Shura Council acknowledged its plan for the FJP to contest half of Egypt's parliamentary seats. In a public display of confidence, the Brotherhood's Supreme Guide, Mohamed Badie, also stated that if his group was to contest all available seats, it would be able to win upwards of 75%. The Brotherhood's electoral target isn't the only shifting factor in its electoral participation. While joining a pro-democracy coalition, the group has formed alliances with anti-democratic Islamists. On June 15, the FJP joined 13 other parties in forming the "National Coalition for Egypt," a broad political partnership "that is representative of all political forces in society and the creation of a national unity government." Ahram Online summarized remarks by Refaat Said, head of coalition member party, Tagammu, at a press conference after yesterday's meeting. Said announced that "the coalition…decided to join together in order to help ease the country into a democracy that will implement the values of the January 25 revolution, freedom, justice, democracy and equal citizenship," according to the report. "He added that all parties have agreed to the establishment of a civil state with equal citizenship where rule of law will prevail." Despite its participation in Egypt's broad "National Coalition for Egypt," the MB has also expanded its Islamist connections by joining with the radical South Asian Islamist Group Jamaat-e-Islami (JI), and by forming political connections with local Salafist elements. "The Jamaat-e-Islami Pakistan and the Ikhwanul Muslimoon (Muslim Brotherhood) of Egypt, on Wednesday decided to join hands to solve issues faced by Muslims all over the world and to promote the true image of Islam," reported Pakistani daily Dawn on June 23. "The two sides held detailed discussions which focused on the need for closer and stronger ties between Islamic movements all over the world. Also discussed during the meetings were the latest situations in Kashmir and Palestine," the article added. "The object with which our Jamaat [group] has stood up is to organize a society, in this country [Pakistan] to start with and ultimately in the whole world, which would itself observe the true principles of Islam with full consciousness and sincerity; which would seek truly to represent Islam before the world by its words and deeds; and finally, whenever it takes root and gather sufficient strength, it would uproot the materialistic foundations of the prevailing system (intellectual, moral, cultural, social, political and economic) and base it on true obedience of God." The same document blames three principles—secularism, nationalism, and democracy—for being the root of evil in modern society. "In our opinion all the three principles are wrong. Not merely wrong, rather we believe with full confidence and certainty, that they are indeed the root cause of all those calamities and troubles in which humanity is involved today," it says. "As a matter of fact, we are opposed to these principles and wish to fight against them with all our strength." Likewise, the Muslim Brotherhood announced a cooperation pact in May with Egyptian Salafist groups, which oppose secular democratic elections. Many of the Salafist groups see the Brotherhood as an attractive alternative to fielding candidates in what they see as an ungodly democratic election. Others see the Brotherhood's successful establishment of the FJP as an inspiration for creatingtheir own parties, with the same final goal of establishing an Islamic state. "God's words must rule and Islam must be in the hearts of the citizens," said spokesman Osama Hafez on behalf of his group, Gama'a al-Islamiyya (GI)—a designated Foreign Terrorist Organization and a member of the Islamist coalition. "The Islamic movements are uniting, despite their different ideologies, because they feel Islam is threatened," said Muslim Brotherhood lawyer Montasser al-Zayat. The basis of this coalition, according to writer Michael Weiss, is the eventual formation of an Islamic state. But, while troubling to many, the Brotherhood's shifting promises and allegiances are hardly surprising. "They're very much opportunists," Shadi Al Ghazali Harb, a member of Egypt's Revolutionary Youth Coalition, told the Wall Street Journal. "Whenever they get a better opportunity, they seize it whether or not this will cost the whole country."